Forget the electric vehicle revolution–this car is juiced up by the same stuff that powers you in the morning. 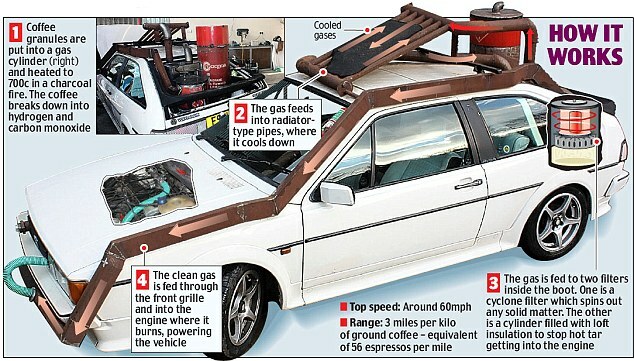 The “Carpuccino” car was built by a team from the BBC science show Bang Goes The Theory to prove the viability of cars powered by fuels other than conventional gasoline and diesel. 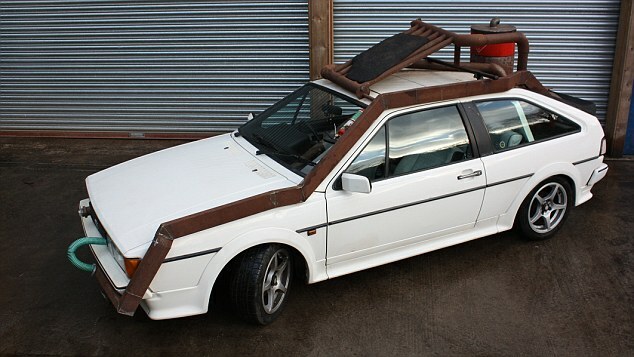 The car, built from a converted 1988 Volkswagen Scirocco, was used by the show because it looks like the DeLorean from Back to the Future. journey.” That means it’s actually much cheaper to stick with regular gasoline … in your car, we mean. So will we all drive coffee-powered cars sometime in the near future? Probably not. But the Carpuccino serves to remind us that making vehicles sustainable sometimes requires more than a little creativity. Chevy can have its Volt. Give us the Jolt.